A God-king. 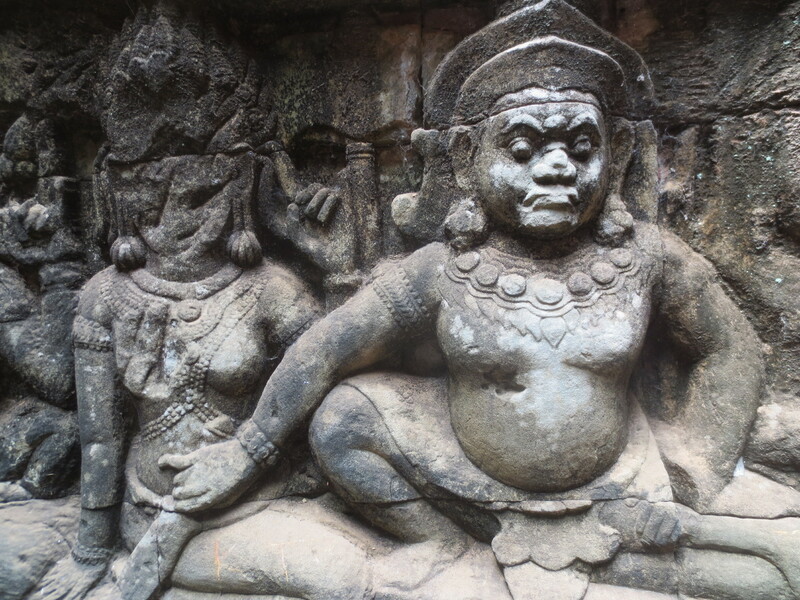 His creative ambition and spiritual devotion – along with a wee bit of self-defense against the Vietnamese Chams – resulted in the magnificent temples and fortifications around Angkor Wat. Surayavarman the second may have built the most famous. The legendary Angkor Wat Temple. 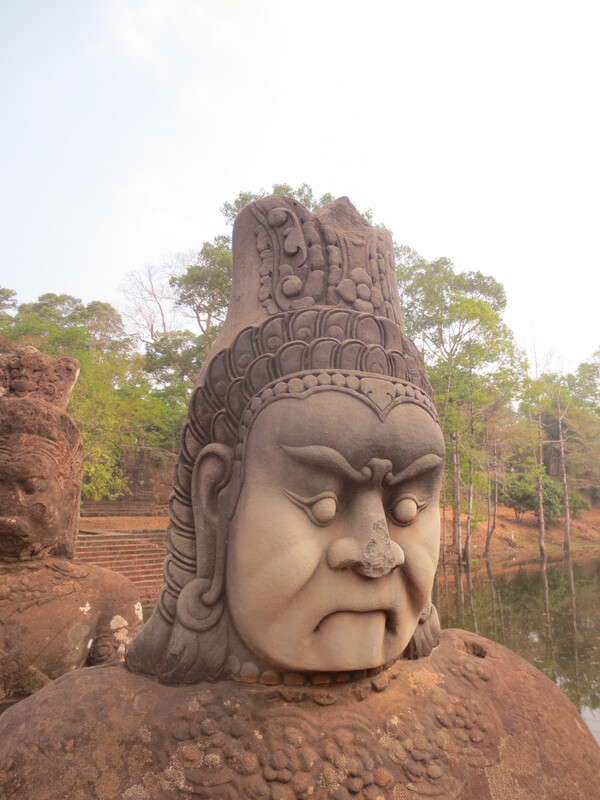 But, Jayavarman the seventh built the magnificent city of Angkor Thom – the capital of the Khmer Empire. This city boasted a population of one million when London was a small town of 50,000. 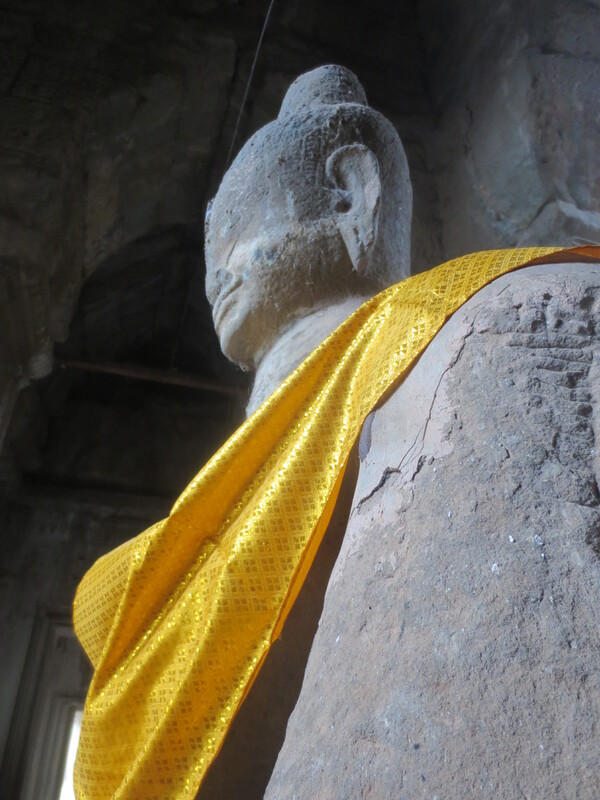 He also built the incredible temple of Bayon. After his death in 1219 the empire went into steady decline. 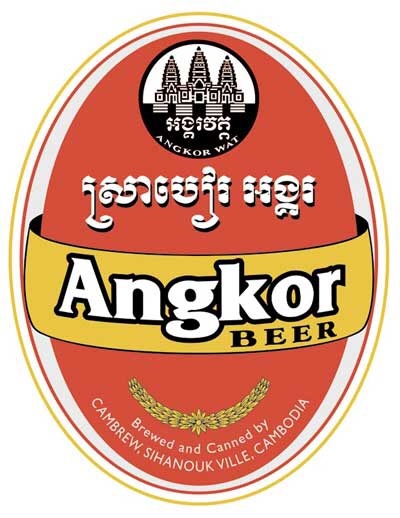 Angkor Wat was restored in the 16th century by the Khmer royalty as a Buddhist shrine. The rest of the area was left to the jungle for many centuries. 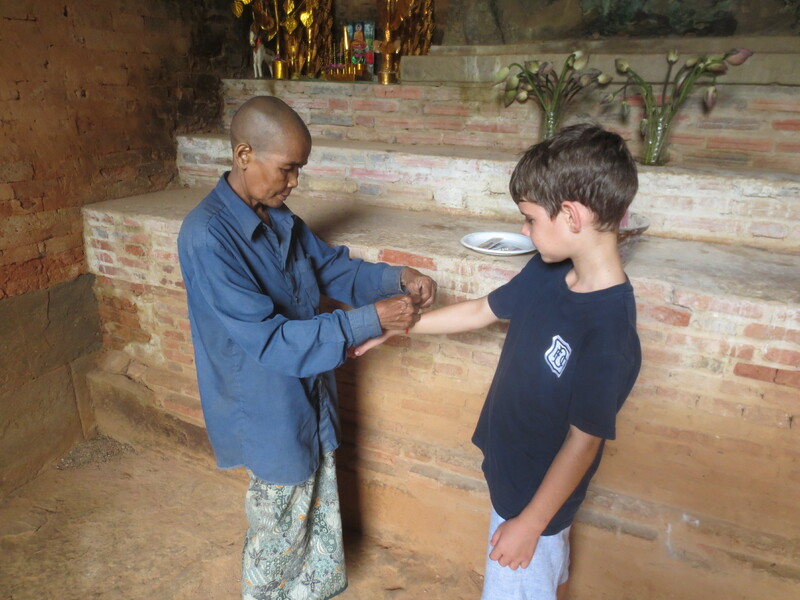 We tried hard to read up on the Buddhist myths and legends and identify the motifs, symbols and characters carved within the temples. What is the Churning of the Ocean of Milk all about? We were all too familiar with Lingas. 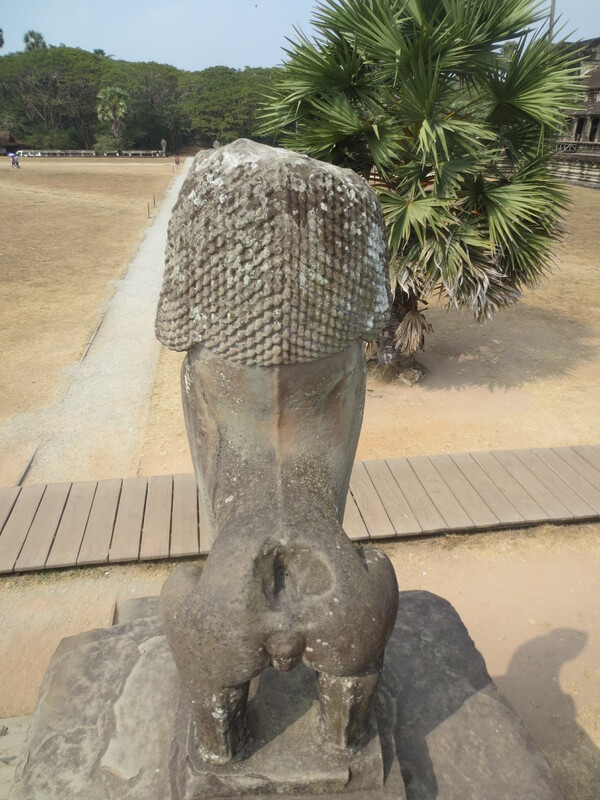 On our first afternoon in Siem Reap we visited the Angkor National Museum. The galleries were okay. The gallery of a thousand Buddha’s was okay – although some were a bit on the small side. 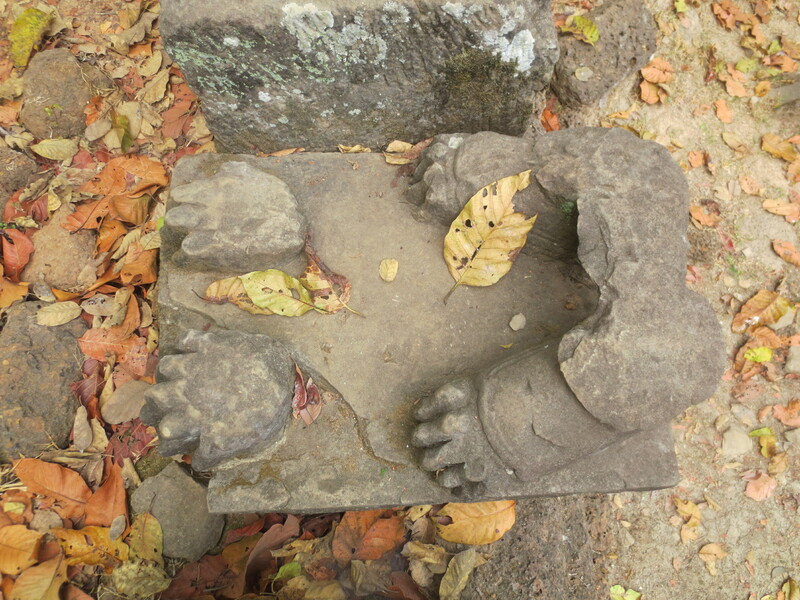 But, we learnt later that when the state religion reverted to Hinduism a lot of Buddhist sculpture was vandalized or altered. 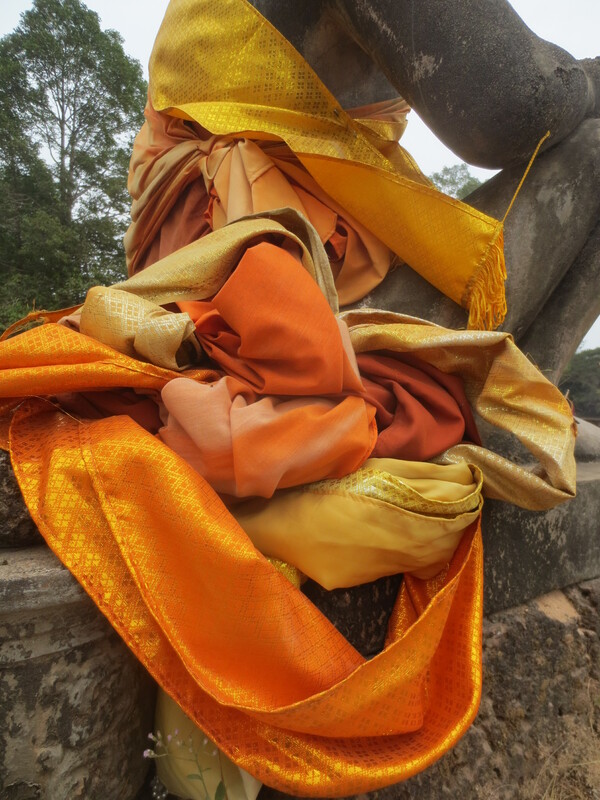 Certainly, there were numerous headless Buddhas scattered around the Angkor Wat site. 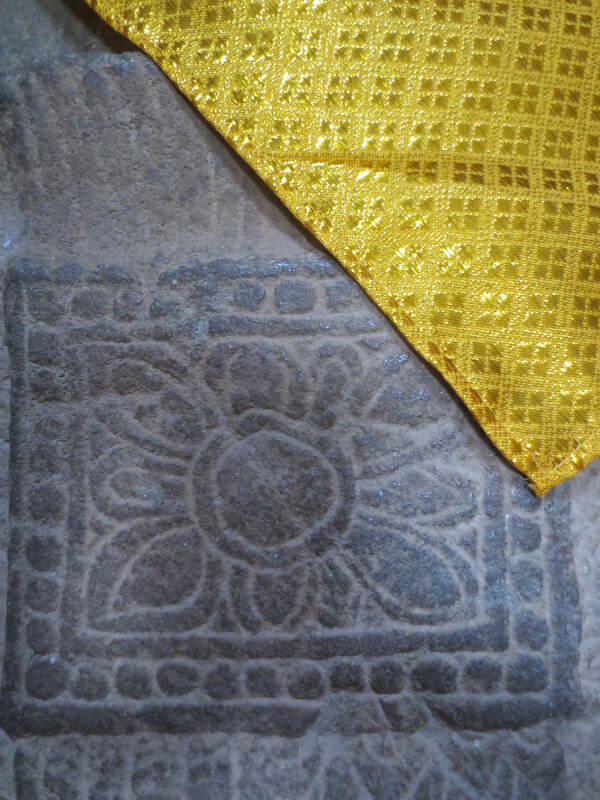 We also thought that many of the treasures in the museum would have looked better back in situ. 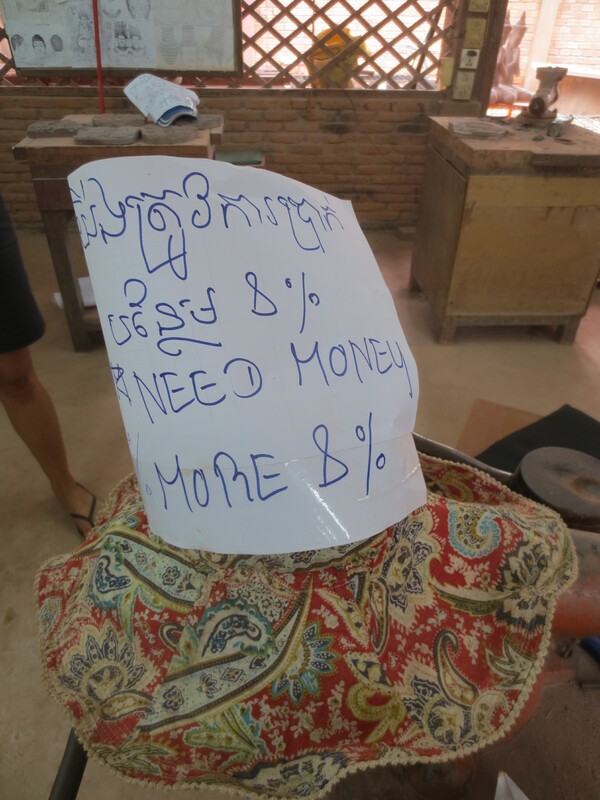 But, then we found out that there is an attempted theft of an artifact from Angkor Wat on a daily basis. 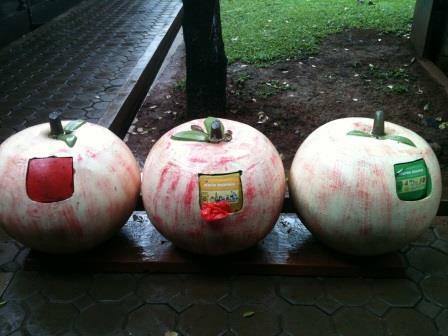 Big artefacts too. Also, over time sandstone tends to dissolve when in contact with dampness. 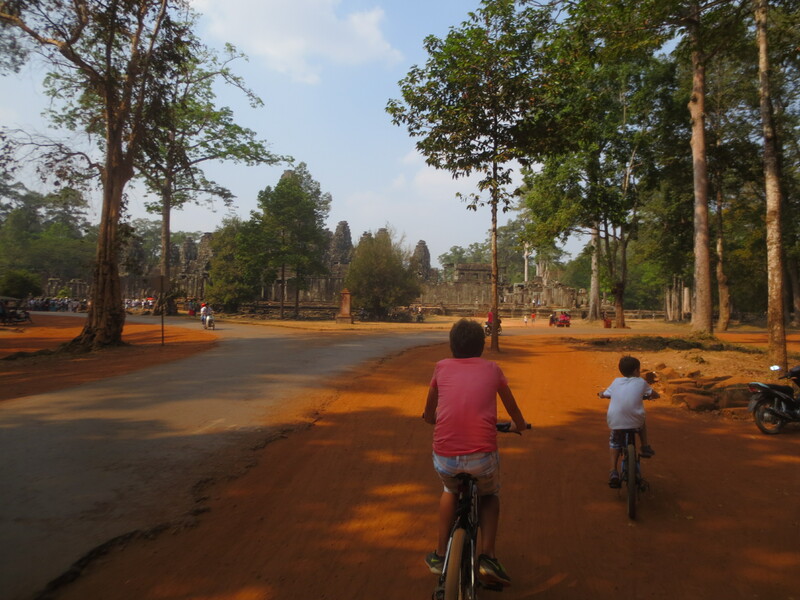 Our greatest pleasure was just cycling round the monumental site that includes Angkor Wat. We hired bikes and bought a three-day ticket. Exercise, fresh air and culture ticked all our boxes. 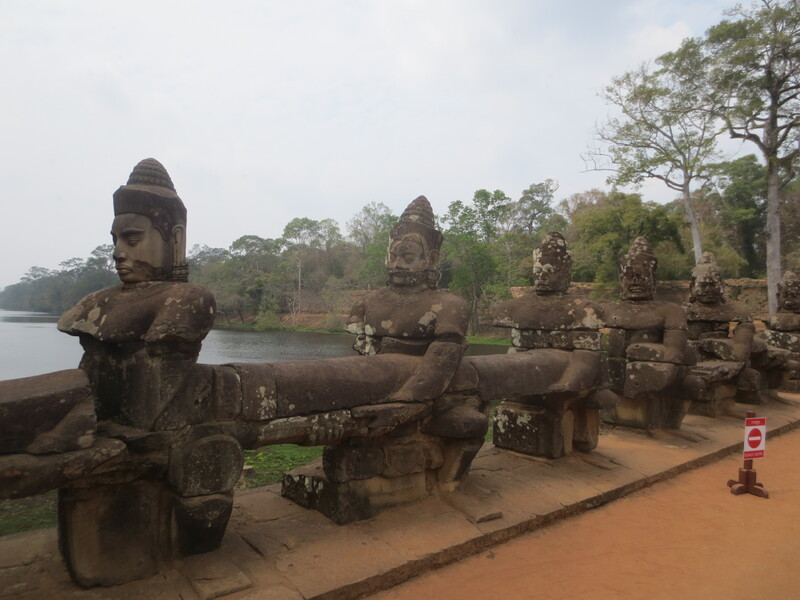 The first bridge at the South gate to Angkor Thom is just wonderful. 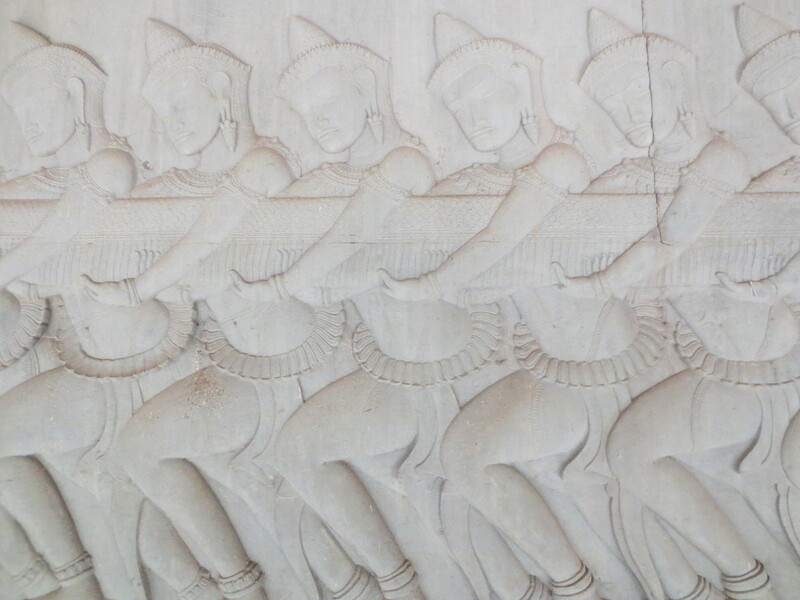 A balustrade of warriors on each side taking part in a monumental tug-o-war. Each guardian with a different dour expression of determination. We crossed this bridge every day on our way into the archaeological site. On the first day we cycled to the furthest away sites. 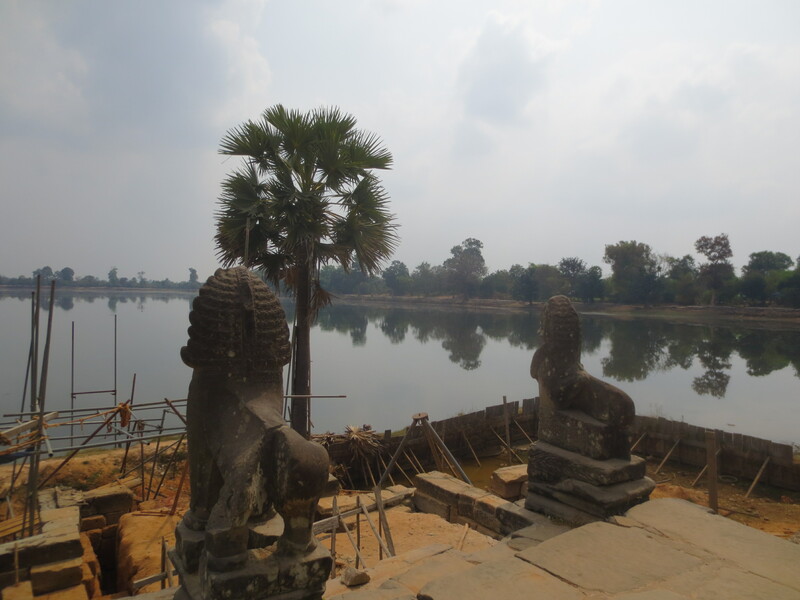 Neak Pean was a large square pool used for ritual purification rites. 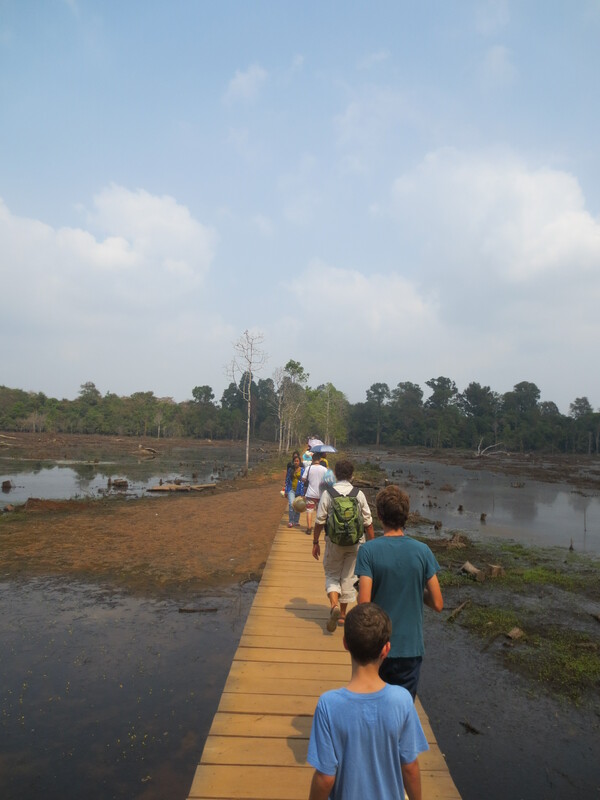 We reached it by walking across a long wooden pontoon over partially flooded ground. 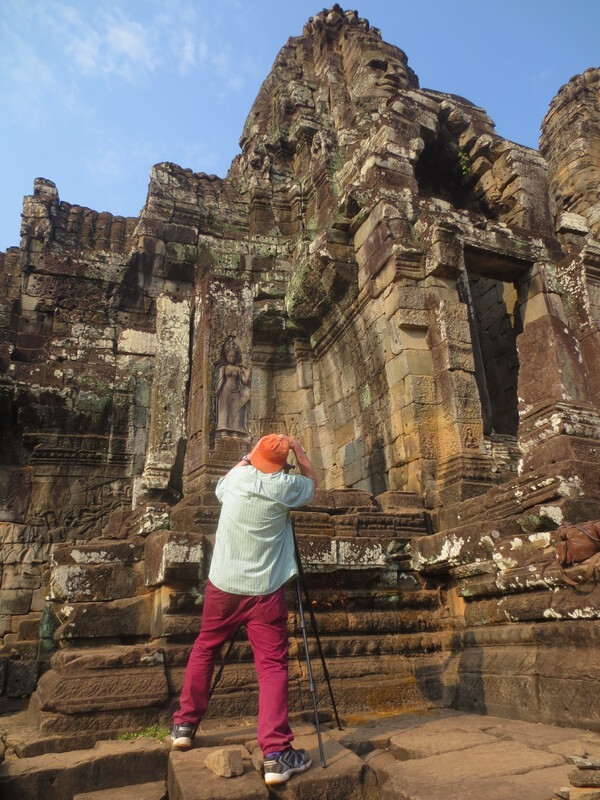 Then we clambered over the ruins of Preah Khan. Piles of sandstone blocks lie piled against lichen-clad walls and blocking corridors. 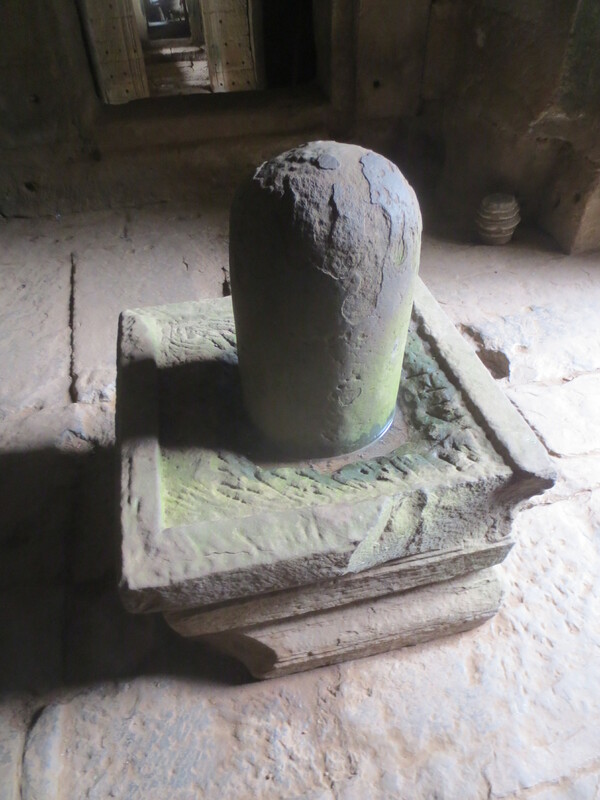 The next day we visited Prasat Kravan, Banteay Kdei and another pool of ablutions, Sra Srang. 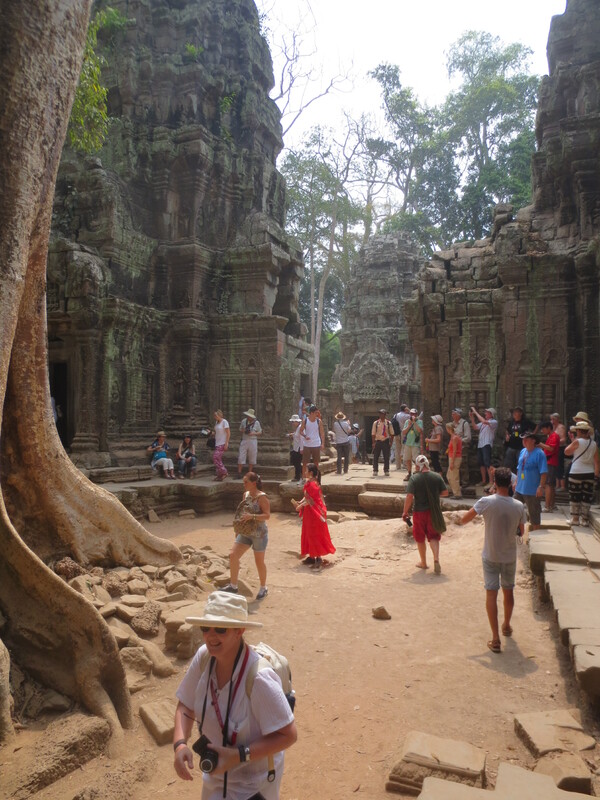 Then it was on to Ta Prohm. Film set for Lara Croft in Tomb Raider. Ta Prohm had literally been swallowed by the jungle – but now only the biggest and most photogenic trees and root systems remain. Many corridors are impassable, too many tourists and clogged with piles of stone churned up by the roots of ancient trees. An army of labourers rested under a crane or on the roofs of damaged galleries. Others stood around a stone block probably guessing where it could go. You can’t imagine how they get the pieces back together. 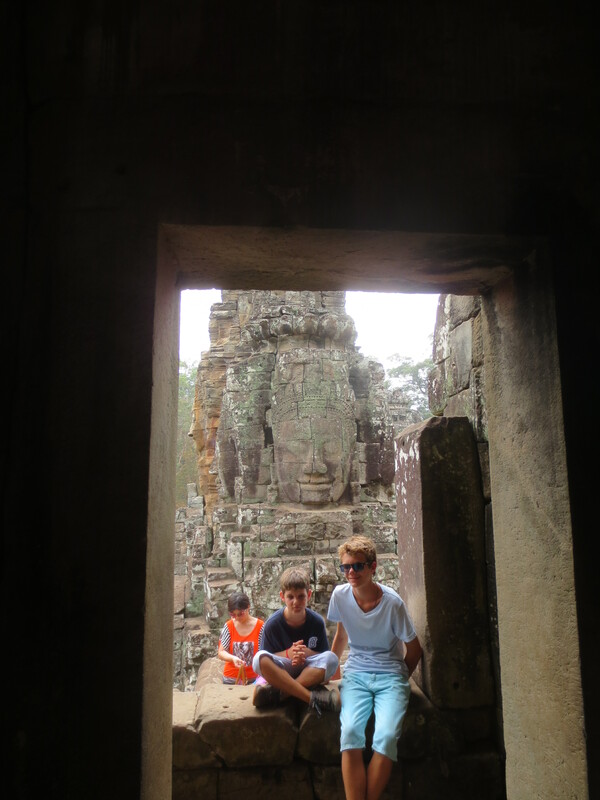 Then we decided to walk round the outside of Bayon. We marveled at the 54 gothic towers decorated with 216 faces of Avalokiteshvara. Everyone was trying to take a picture that would capture this mesmerising temple. But we just sat and watched a massive swarm of bees clustered above an entrance. Every so often a ripple moved across the body of the swarm – making it look as if the stones themselves were moving. 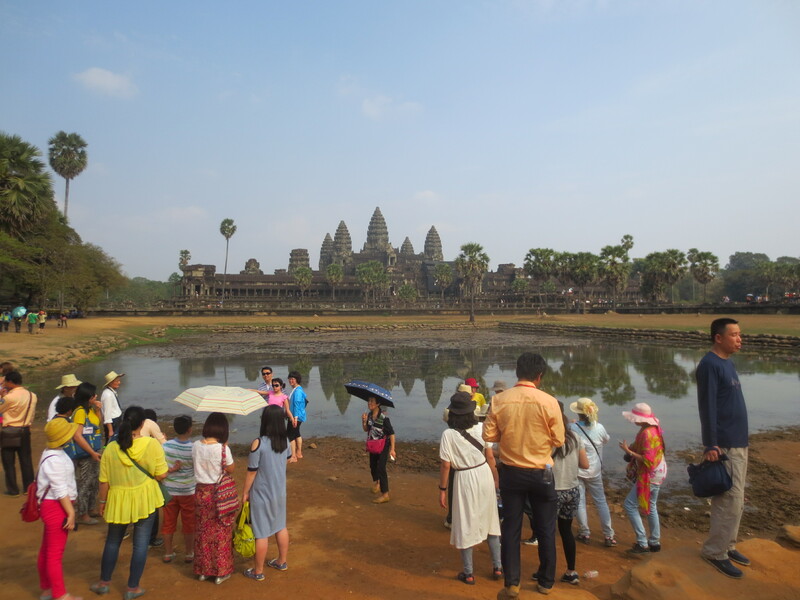 Angkor Wat looks good from a distance. 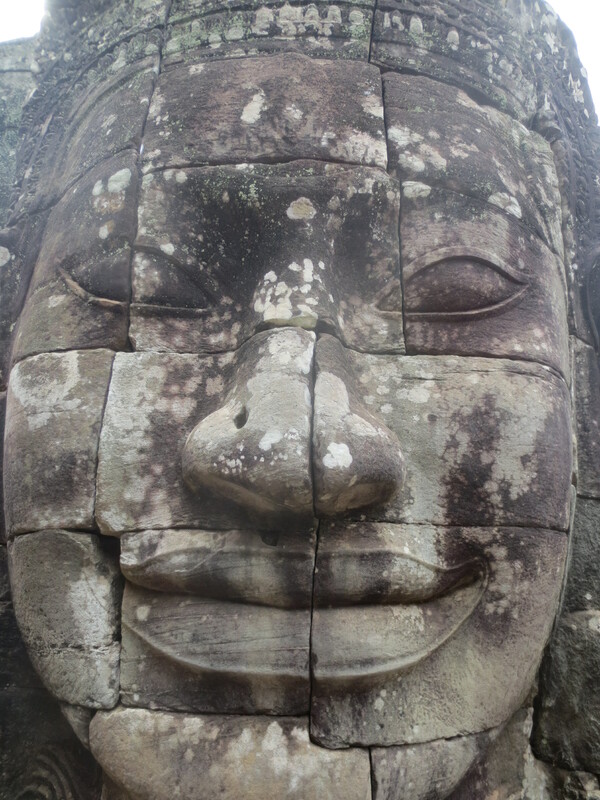 Up close, Bayon can’t be surpassed. While Lucas took a catnap at the shaded entrance to Baphuon Temple, we walked the 200m elevated causeway, held up by hundreds of pillars. 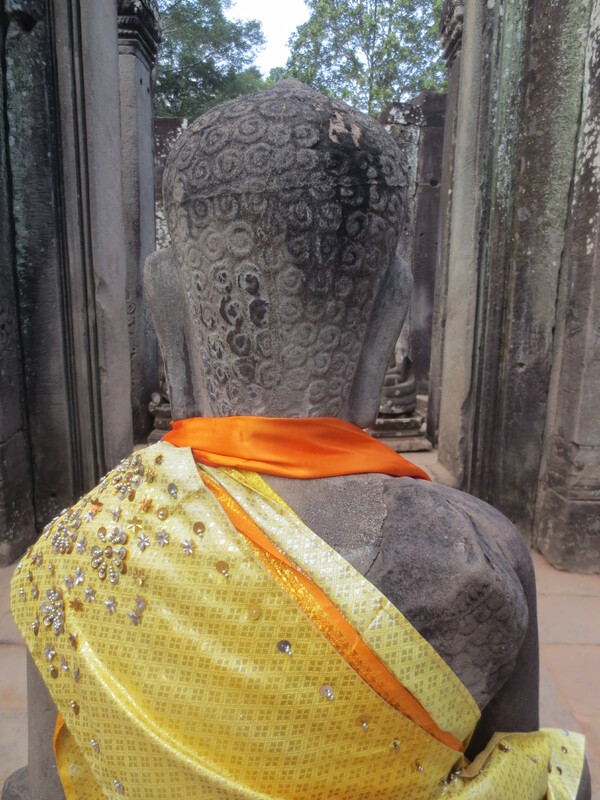 Baphuon was a pyramidal representation of the mythical Mount Meru. 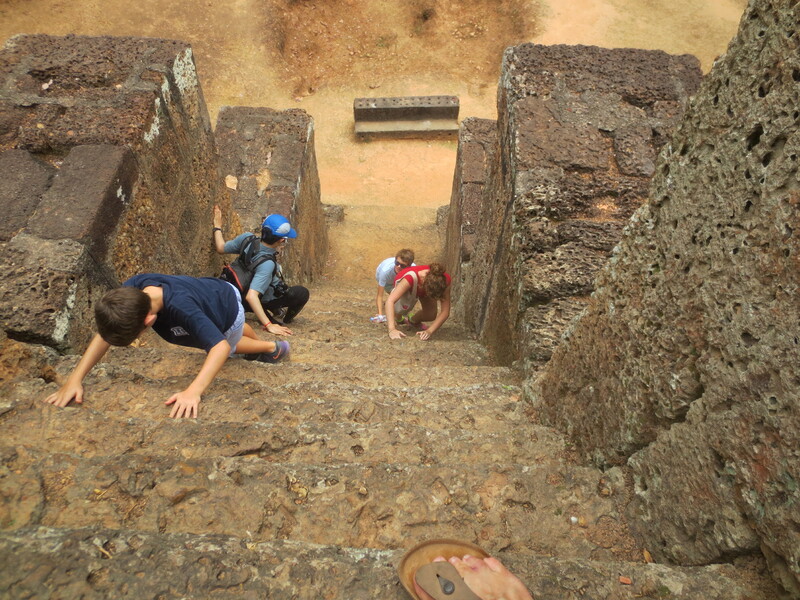 It certainly was a steep ascent to the top. 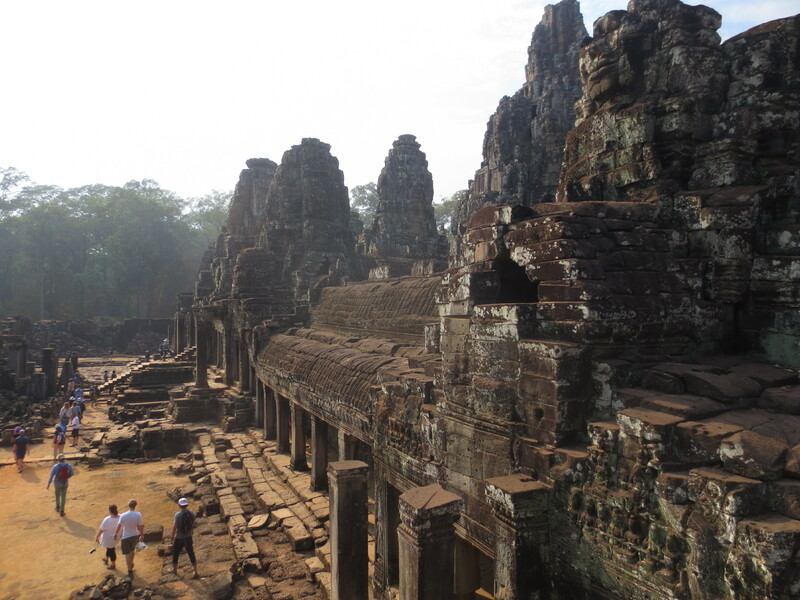 We found it hard to believe that this temple had lain in 300,000 pieces for about 25 years. 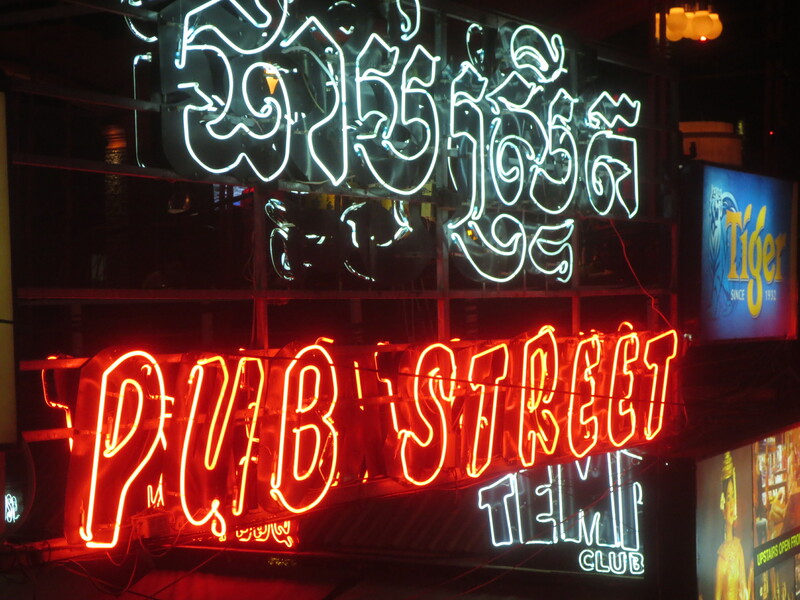 Restoration had halted during the Khmer Rouge years. Indeed, the Khmer Rouge destroyed all the records and cataloged details of how to put it back together. 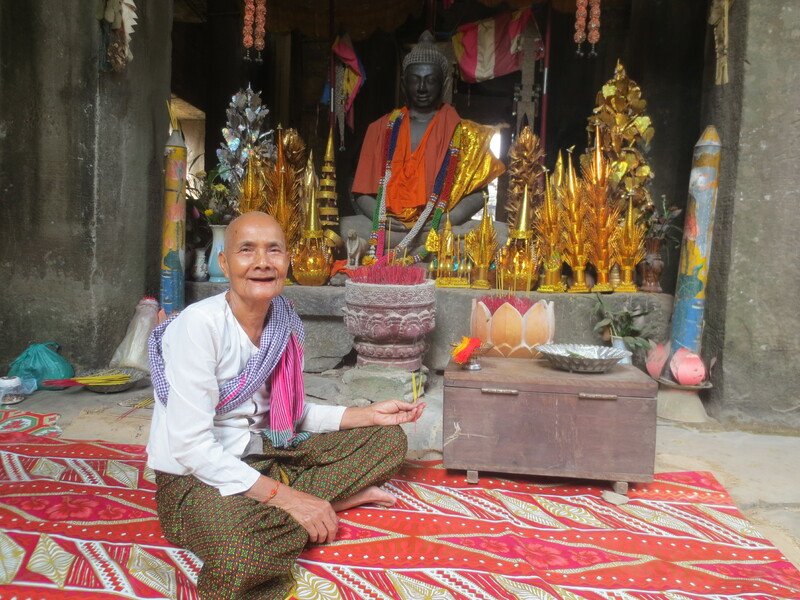 On our last day we stopped at Baksei Chamkrong, a small temple from the 10th century. It was a challenging climb. Inside Lucas was rewarded with another good luck blessing. 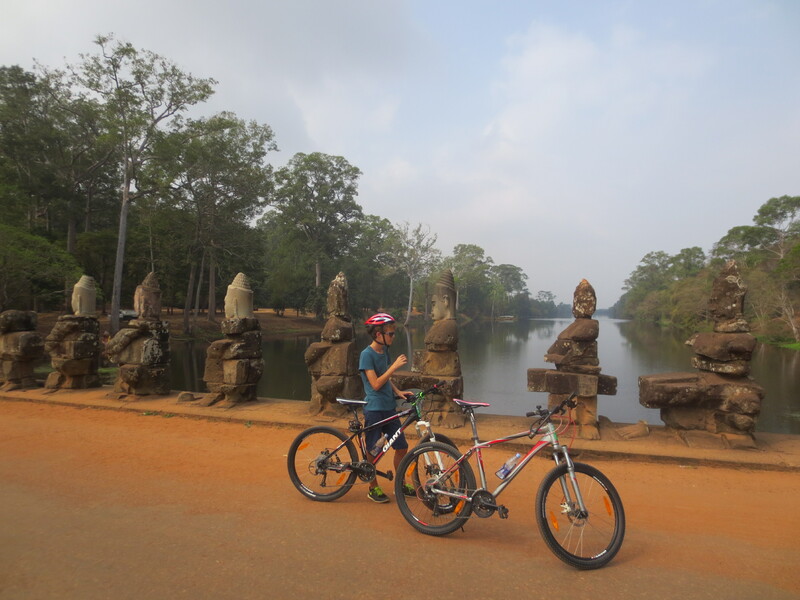 We then headed on towards Angkor Thom. We stashed our bikes across from the Terrace of the Leper King. We walked the Elephant Terrace. A viewing stand for public ceremonies in the central square. The walls were decorated with parading elephants, trunks holding tails and carrying their mahouts. We walked back on the terrace and entered the royal enclosure. 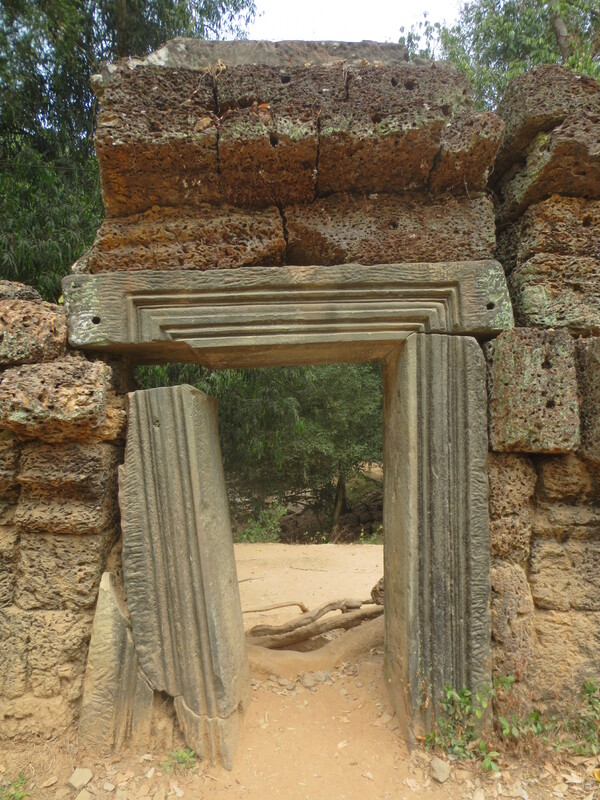 There is little left of the actual palace but the palace temple of Phimeanakas is still there. In need of some TLC. We climbed to the top – as you do. 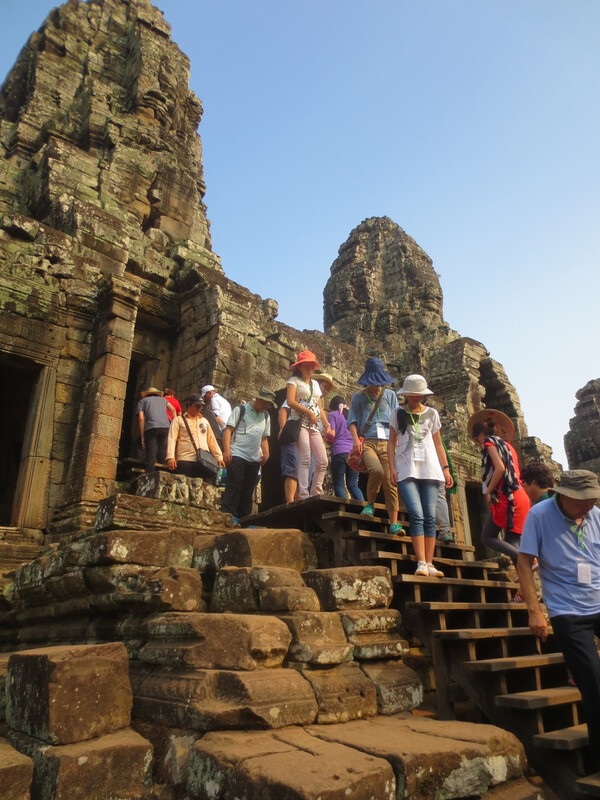 We then headed for Bayon with the intention of going inside. We were not disappointed. We followed the bizarre directions through stooped corridors, avoiding descending tourists while passing precipitous flights of stairs. Eventually, we were allowed to ascend a flight towards the towers. It was incredibly busy up top but we still took in the wonder of the place – our progress monitored by the coldly smiling enormous faces. 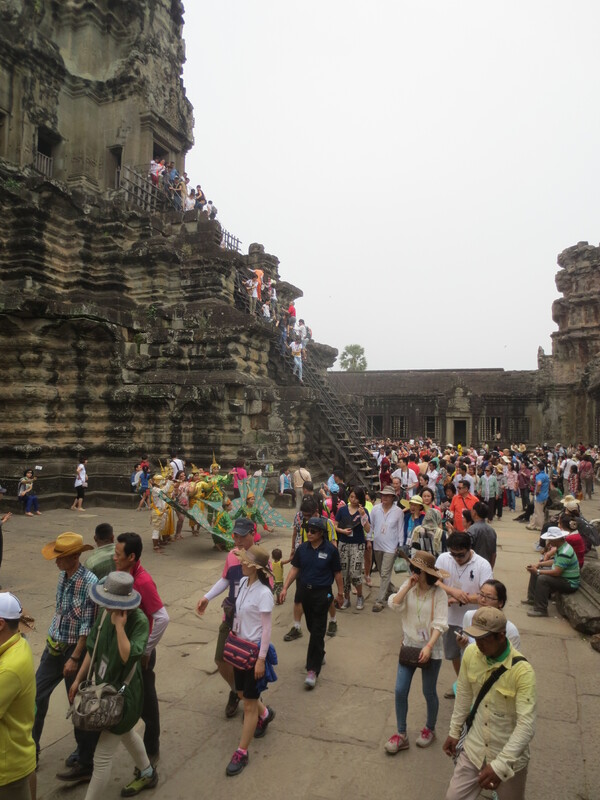 We then headed for lunch and a final visit to Angkor Wat. I read it took 300,000 workers and 6000 elephants to build. But, they still didn’t finish it. It’s hard to predict how many elephants you need. It was an exciting walk towards the temple. 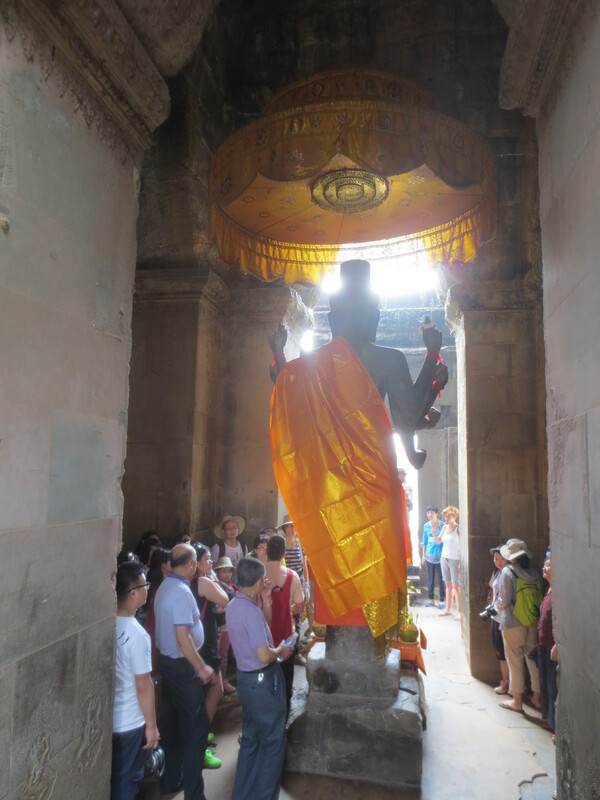 It was mobbed with Cambodians and tourists of all nationalities. The temple is massive, believed to be the world’s largest religious building. We walked around the sides and back looking at the outer wall bas-reliefs. We decided not to queue for access to the third level. 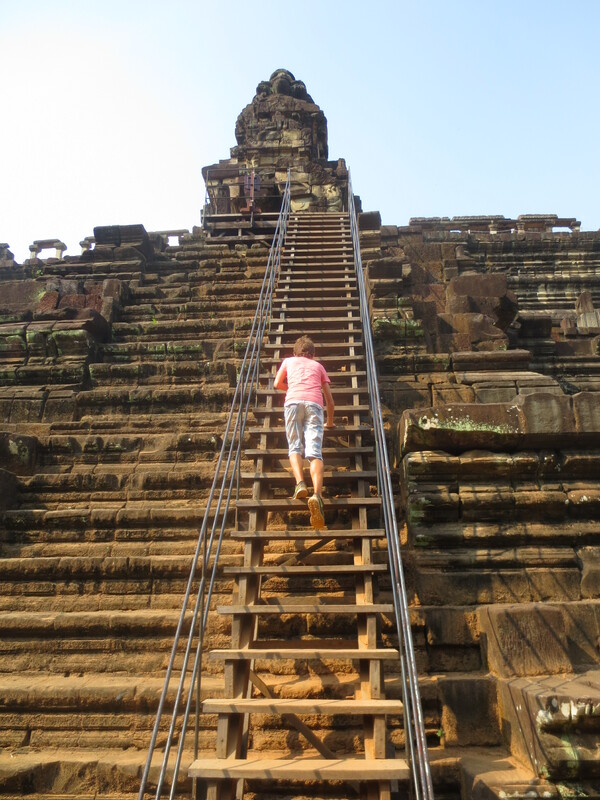 We sadly headed out of Angkor Wat for the last time. But, grateful to have been so lucky to experience the place. I now have a brass head of the great king on my bookshelf. One of our last posts? The boys drove down to Kota’s Fatahillah Square yesterday. We have a list of a few places we would like to see before our departure. It has been about two years since we visited the square. 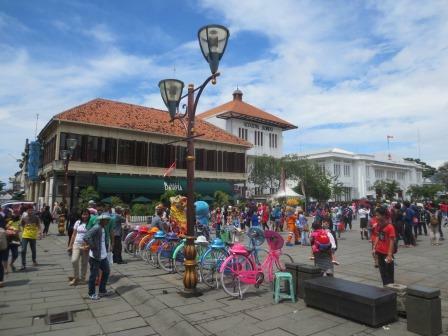 The ex-governor of Jakarta, now President of Indonesia has taken action to promote and develop the area of old Batavia into a major tourist attraction. 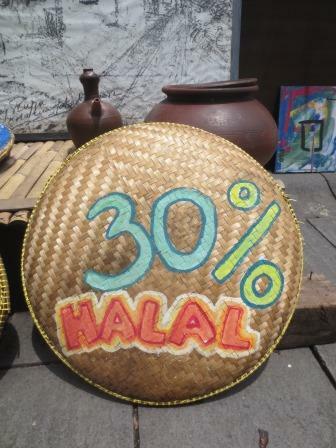 I think they are trying to get it World Heritage status. He has warned the owners of the historic buildings that if improvements, and restoration, is not carried out – they will forfeit their ownership. For some buildings this action has come too late. The first thing we noticed was the new prominent position of Canon Si Jagur. 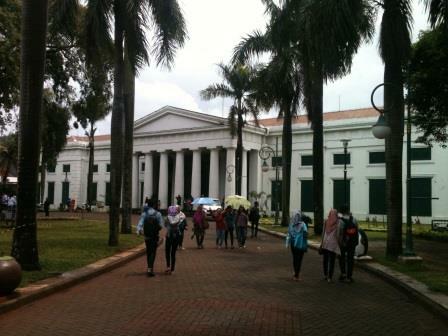 It used to be tucked away at the back of the Jakarta History Museum. Will this deter women who think their chances of conceiving are increased by straddling the cannon on a Thursday? 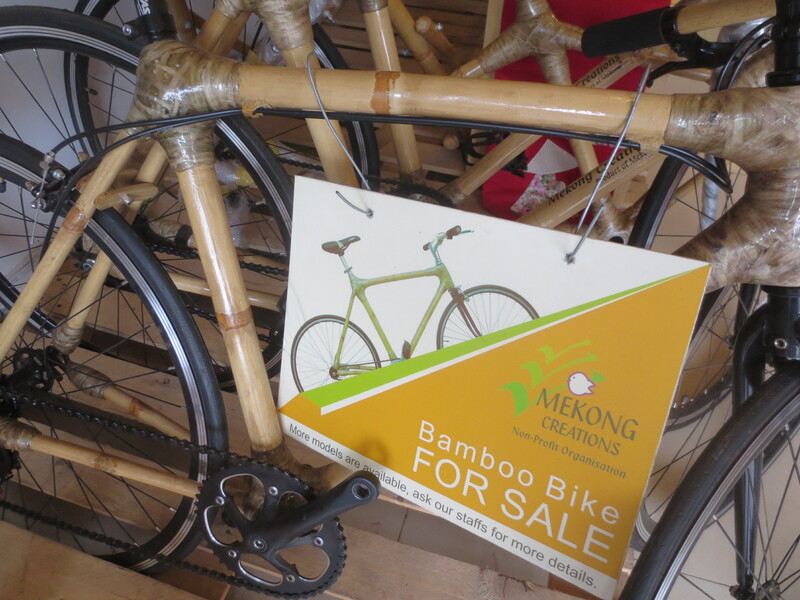 There are still the unmanageable, fluorescently-painted bicycles for hire and a lot more street performers. 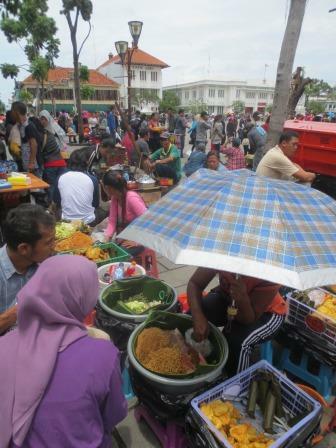 The side streets were also packed with vendors. We headed for the Fine Arts and Ceramics Museum. This was a lovely building dating from the late 1860s. 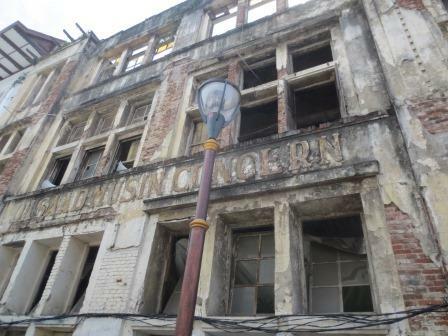 A wing of the building was being restored and we were unable to get access. Maybe that was where most of the ceramics were because we didn’t see a lot. An eclectic selection of paintings with a couple of stand-out pieces. 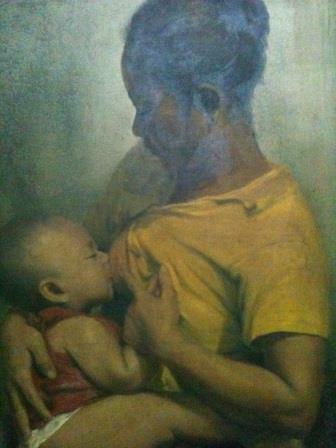 Didn’t get the artist’s name who painted the beautiful breast-feeding child. 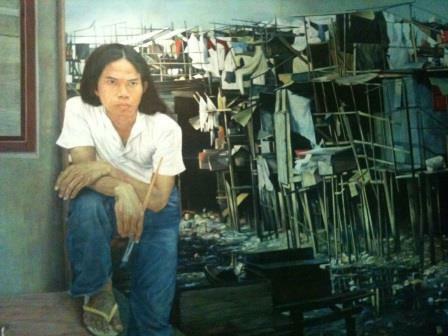 Big painting by Dede Eri Supria called Urbanisasi. Although painted in 1977 it still carries a powerful message that changes are still not having a positive impact on those who live beside the fetid canals of Kota. 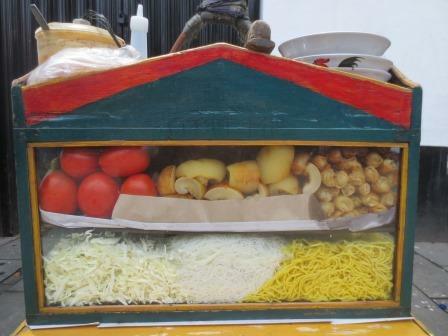 What does urbanization really mean to them? And, what will happen to them as the intended regeneration of the area gathers momentum? We went looking for a Portuguese church down past the train station but the traffic fumes were getting to Lucas. 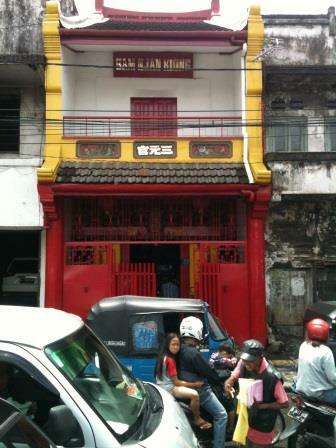 We were also looking for a Rumah Abu, or Ash House, where Chinese families house the ashes of their ancestors. Originally, these resting places were meant to be temporary until they could be returned to the original home villages of the deceased in China. 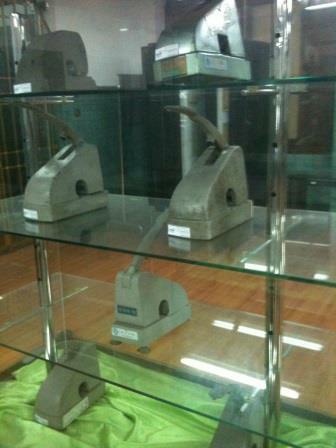 So, we headed into the Museum Bank Mandiri. This was the headquarters of the Nederlandsche Handel Maatschappij Bank, Batavia – and opened in 1933. This was a beautiful old building in need of some new ideas and a good clean. However, we had an enjoyable time exploring this massive old bank. 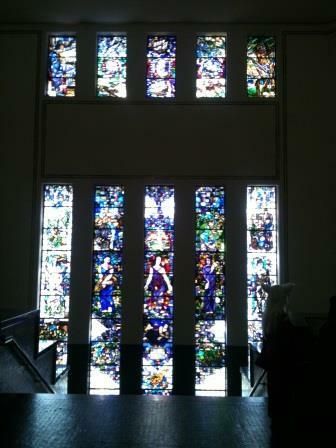 Impressively barred teller counters and a magnificent stained-glass staircase up to the boardroom. Mannequins in advanced states of disrepair were scattered among the rooms representing customers, tellers, bookkeepers, managers, guards and computer technicians. We walked into rooms displaying old computers, telephones and display cabinets full of paper punches and the same leaflets. 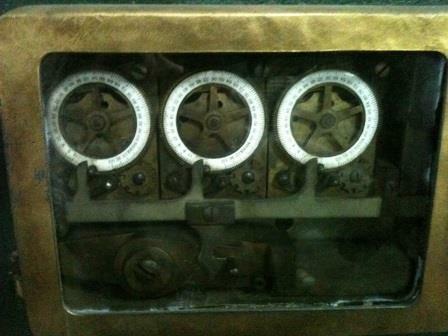 An old NCR machine but no evidence of it originating from Dundee. The next room had samurai swords. Then some exquisite scales. There were several photo shoots going on. Some real-life models in 1920s costume and a graphic novel exhibition among those mingling on the ground floor. Brilliant. We headed down to the vast vaults. Deposit boxes behind impressive combination doors. Interesting to see the mechanism from the other side of the door. Had security ever been breached? We wondered if any of the boxes have remained locked, the key holder long dead and the key misplaced – their valuable contents forgotten. 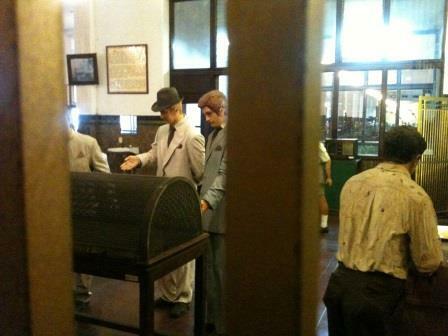 The vaults were used as a prison during the Japanese occupation. Then it was a quick walk round the Museum Wayang. We are not really into Indonesian puppets and the music but the independence Puppets of the 1940s were pretty cool. The building was interesting. It was built on the site of the Old Dutch Reformed Church and is the burial place of Jan Pieterszoon Coen, the first governor and founder of Batavia. 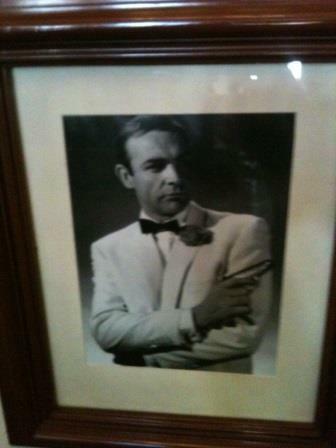 Wonder what he would think of the place today? 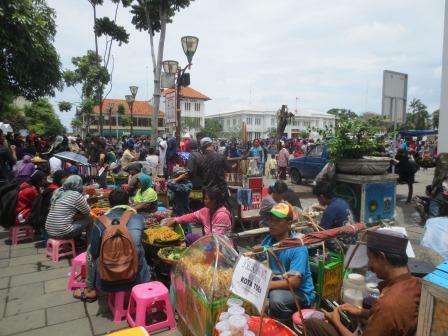 While visiting Kota’s Fatahillah Square yesterday we couldn’t help but notice the eye-catching rubbish bins scattered everywhere. 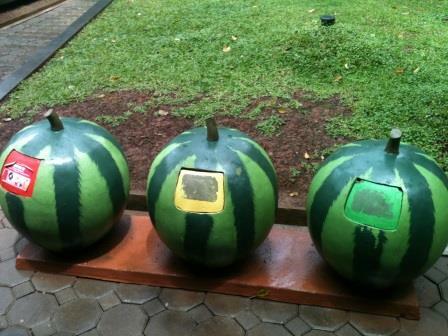 Choice of triple watermelons, polar bears and penguins among others. They are incredibly tacky and ugly. Whoever commissioned these needs to be kept away from any other decisions involving the regeneration of the square.